You know when you in the mood for good old Italian food? I’m not talking fancy version of it I’m talking real kind of homemade cooking. Well if that happens to you in Vegas this is the place you need to try. First there is no long menu here, you’ll find everything you would like to order on your place mat. 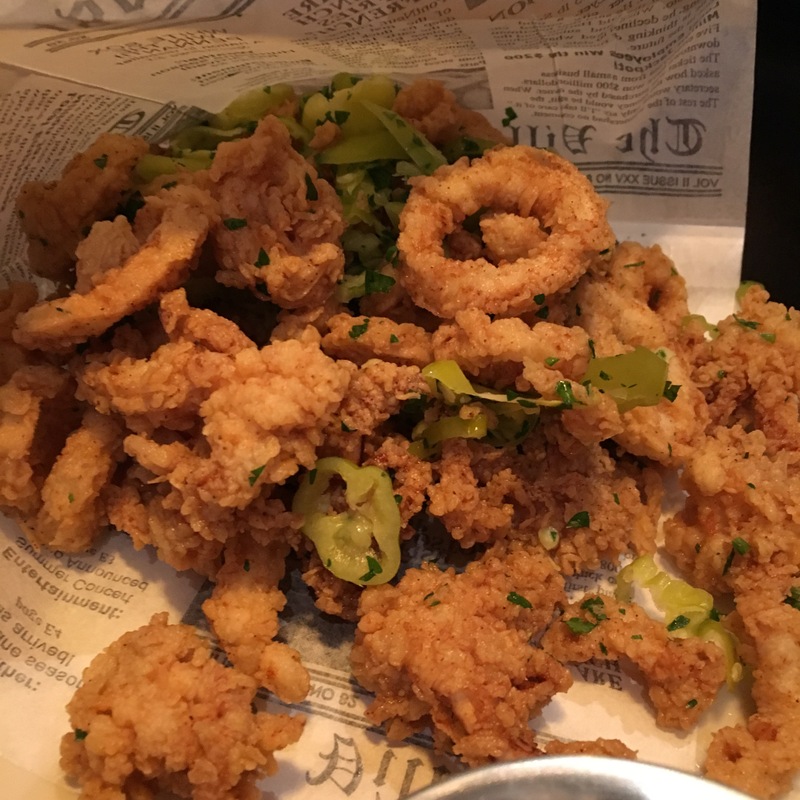 While we were looking I ordered some fried calamari. They were actually very good and I liked the twist they put on it by serving it with hot peppers in a sort of newspaper the same way you would be served fish and chip in England. My colleague ordered the My Cousin Vinny pizza, a mixed of tomato sauce, Mozzarella, sliced meatballs, Pecorino and Peppadew peppers. I honestly have to say that I didn’t get to try it but it looked fantastic. My colleague told me it was very good and if I had not ordered the Chicken Parmesan I would have most likely have a slice. But the Chicken Parmesan was very filling and I couldn’t finish my plate. The Spaghetti was good and so was the chicken, unfortunately some places treat that dish with no consideration and that can leave you on your appetite but not at Little Tony’s. I have to say that at first I thought this restaurant was not in one of the hotels but a stand alone place. I also was misled by a menu someone had posted on OpenTables but since me and a colleague were already there and starving we decided to give it a try and we were happy we did. If you’re looking for generous portions at a more than reasonable price you will find them in the Palace Station Hotel & Casino. This place is off the strip but worth it if you’re looking for a good quality price meal.